We are all familiar with that point in the day where we just crave something sweet. That something sweet usually equates to something unhealthy, leading to the intake of extra, unnecessary calories for the day. BRITA conducted some research and found that it’s 4pm when people need that extra energy boost to help them get through the day. So they are launching their Pour O’Clock campaign to get us to ditch our sugary snacks and substitute them for water at 4pm. 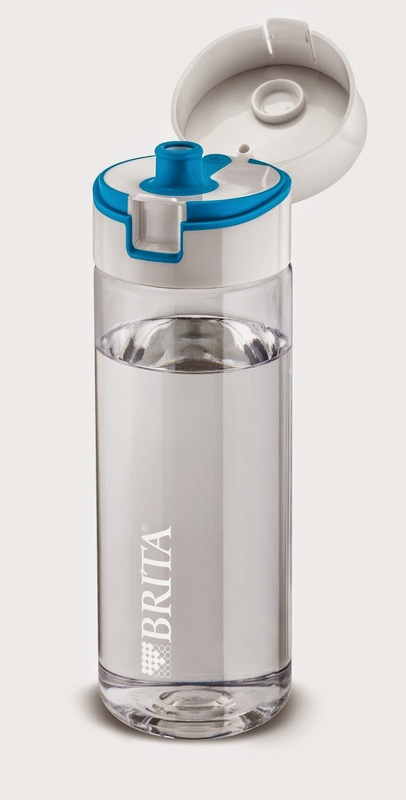 To help you get started, our friends at BRITA are offering one of you the chance to win your very own BRITA Fill&Go bottle! Mine has been a firm sidekick since the start of 2014 as part of the BRITA Boost Challenge. Please read the T&C’s before entering then tweet / like / comment away! The competition closes next week Tuesday at which point a winner will be chosen at random! I’m going to give this a go and see how I feel! Let me know if you take on the challenge and if it works for you! I'm terrible with sugar cravings, I've switched to having an apple half an hour after my lunch and having a herbal tea in the afternoon if I 'think' I'm hungry. Most of the time having a look at my to-do list and finding a new job to start distracts me! I've been looking for a 'throw in my handbag' bottle for ages. Do these travel well? I've found apples quite good for getting rid of sugar cravings, or having a hot chocolate rather than a bar of chocolate. Feels more virtuous, as long as it's made with water. Apples are brilliant for beating sugar cravings and getting rid of the afternoon slump … otherwise a coffee! Chewing gum helps, or fruit infused water. I clean my teeth! I never much fancy eating when I have just cleaned my teeth – or swish wish a mouth wash! Does the same trick! I eat fruit whenever my sugar craving hits. It's sweet, but not unhealthy so I feel a lot better! By snacking on fruit instead. I usually grab a piece of fruit..need that something that tastes sweet. Like a lot of others have also said… fruit!